Bleeding heart (Dicentra spectabilis) is a spring-blooming perennial with lacy foliage and heart-shaped blooms on graceful, drooping stems. 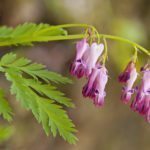 A tough plant that grows in USDA plant hardiness zones 3 through 9, bleeding heart thrives in semi-shady spots in your garden. 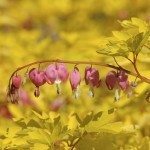 Growing bleeding heart from cuttings is a surprisingly easy and effective method of propagating new bleeding heart plants for your own garden, or for sharing with friends. If you would enjoy having more of this gorgeous plant, read on to learn about bleeding heart cutting propagation. 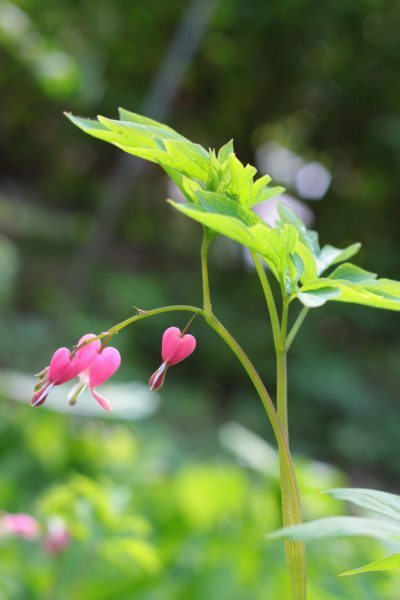 The most effective way to root a bleeding heart cutting is to take softwood cuttings – new growth that is still somewhat pliable and doesn’t snap when you bend the stems. Immediately after blooming is a perfect opportunity for taking cuttings from a bleeding heart. The best time for taking cuttings from a bleeding heart is early morning, when the plant is well-hydrated. Select a small, sterile pot with a drainage hole in the bottom. Fill the container with a well-drained potting mixture such as peat-based potting mix and sand or perlite. Water the mixture well, then allow it to drain until it’s moist but not soggy. Take 3- to 5-inch cuttings (8-13 cm.) from a healthy bleeding heart plant. Strip the leaves from the bottom half of the stem. Use a pencil or similar tool to poke a planting hole in the moist potting mix. Dip the bottom of the stem in powdered rooting hormone (This step is optional, but may speed rooting) and insert the stem into the hole, then firm the potting mix gently around the stem to remove any air pockets. Note: It’s fine to plant more than one stem in a pot, but be sure the leaves don’t touch. Cover the pot with a clear plastic bag to create a warm, humid, greenhouse-like environment. You may need to use plastic straws or bent wire hangers to prevent the plastic from touching the cuttings. Place the pot in indirect sunlight. Avoid windowsills, as cuttings are likely to scorch in direct sunlight. Optimum temperatures for successful bleeding heart propagation is 65 to 75 F. (18-24 C.). Be sure the temperature doesn’t drop below 55 or 60 F. (13-16 C.) at night. Check the cuttings daily and water gently if the potting mix is dry. (This probably won’t happen for at least a couple of weeks if the pot is in plastic.) Poke a few small ventilation holes in the plastic. Open the top of the bag slightly if moisture drips down the inside of the bag, as the cuttings may rot if conditions are too moist. Remove the plastic when you notice new growth, which indicates the cutting has rooted. Rooting generally takes about 10 to 21 days or more, depending on temperature. Transplant the newly rooted bleeding heart plants into individual containers. Keep the mixture slightly moist. Move the bleeding heart plants outdoors once they’re rooted well and new growth is noticeable. 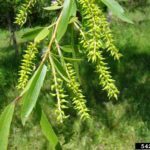 Be sure to harden the plants in a protected spot for a few days before moving it to their permanent homes in the garden.